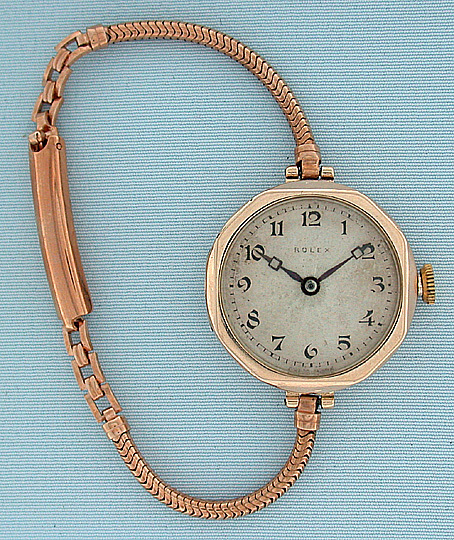 Ladies Rolex 9K gold octagonal Art Deco vintage wrist watch circa 1924. 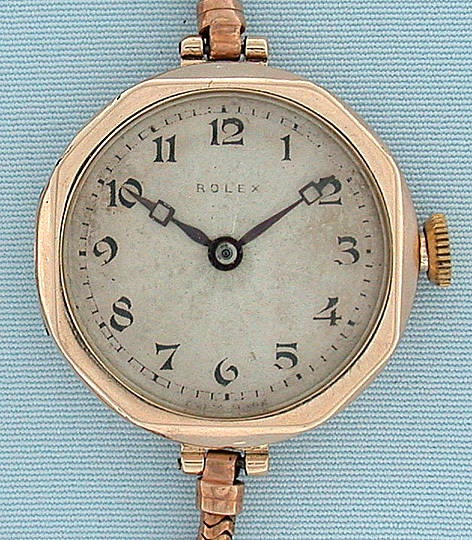 Original silvered dial with blued steel hands. 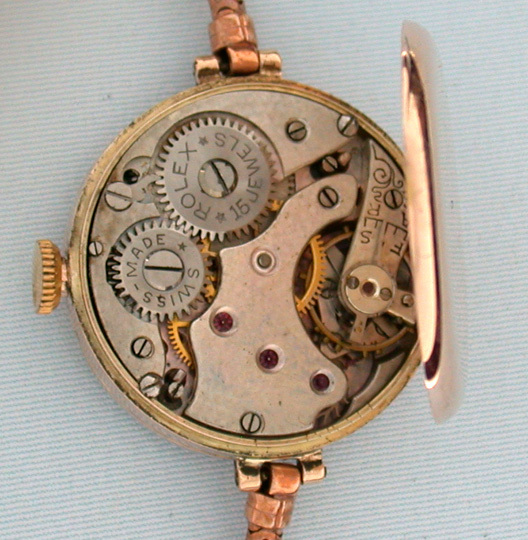 Nickel 16 jewel movement. Gold filled bracelet.